The LA Auto Show which runs till the 28th of November could be one of the best auto shows this year and looking at the number of cool remakes and remodels you would find it hard to disagree with. Below are some more debut vehicles that you might like if you are one of us unlucky ones missing out on the show. The Fiat 500 gets a new lease of life in the New Year with the latest version of the Fiat 500 making a comeback. 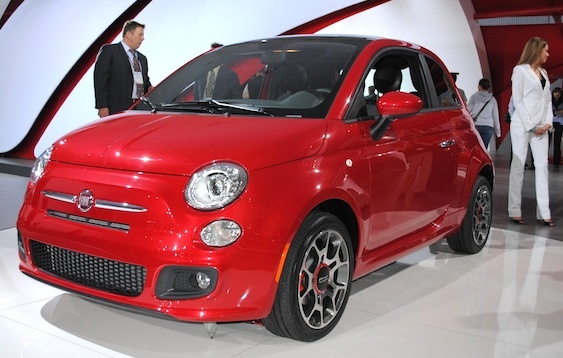 Fiat is aiming to introduce this remake as smoothly as possible into the market and have priced the Fiat 500 at a modest $15,500. The motto at Fiat’s design studio goes something like, “It’s not how big your car is, it’s how big your life is,” and keeping this in mind the Fiat 500 comes equipped with the 1.4 liter four cylinder MultiAir engine that delivers 101 horsepower and a peak torque of 98 pound-feet. The MultiAir system allows the engine to generate upto 10 percent more power than a conventional gasoline unit, while reducing fuel emissions by the same amount. Fiat is hoping to get the Fiat 500 on sale by January of next year and it will come in the choice of three trims: Pop, Lounge and Sport. The Pop model will feature standard features like 15 inch wheels, air-conditioning, cruise control, stability control as well as powered windows, mirrors and door locks. The Sports version will get a new sport tuned suspension and upgraded front and rear facades, while the Lounge mode will get an Italian leather interior, six-speed auto transmission with sport mode, bigger wheels and a glass roof. The U.S spec model will come with touched up interiors like extra cup holders for the Big Gulps and seven air-bags. The car will also get a U.S spec suspension and a new axle. Cadillac is well on its way to returning to the top end of the car manufacturing pile after a few decades of real struggles. The LA Auto Show gave the American manufacturer the chance to show-off some of its concept vehicles and the Cadillac Urban Luxury was one of them. This concept vehicle also serves to point out the new direction that Cadillac is moving in, as the small vehicle is nothing typical of what one might come to expect from the luxury car manufacturer. The remarkable feature of the Urban Luxury Concept is that although it might be 151 inches shorter than the Cadillac it only has a 16 inch shorter wheel base. This translates to a better handling and maneuverable vehicle as a result of short overhangs with spacious interiors and the ability to park easily. The concept car is meant to redefine the view of people regarding luxury as opposed to its small size. According to Cadillac’s lead designer, luxury has nothing to do with size, but instead is defined by the quality of materials used and the build quality of the vehicle. This is Cadillac’s new motto – quality not quantity. 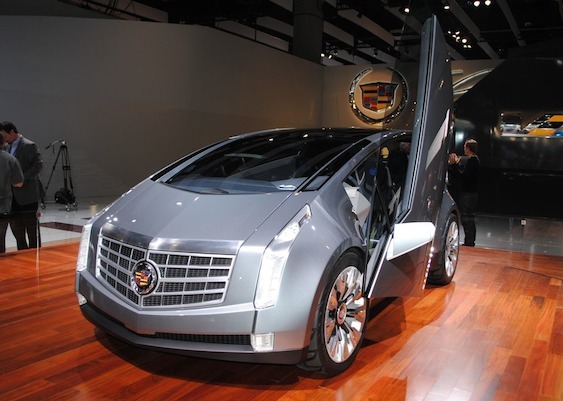 The Cadillac Urban Concept gets its power from a 1 liter, 3 cylinder hybrid drive train and sources at Cadillac claim that it gives a fuel efficiency of 56 mpg in the city and 65 mpg while driving on the highway. This all with the use of its brake energy regeneration and start/stop technologies. Cadillac is giving a more than subtle hint that even their future may lie in environmentally friendly automobiles. You might wonder what Acura is doing with the TSX at the latest Auto Show as this car has been around for a couple of years now and is neither a debut nor a concept, but on closer inspection you would be forgiven for not noticing the new subdued plenum power grille on the 2011 Acura TSX. This is a space in the grille that allows air to ventilate and circulate freely releasing less fuel emissions and increasing power. The Acura TSX comes with a 2.4 liter, inline four cylinder that is mated to a six-speed manual or a five-speed automatic transmission and has a number of subtle changes made to its interior and exterior looks while keeping the general style and design similar. Firstly the front grille has been toned down quite a bit but still come a long way from the insipid styling on the first generation TSX. The rear of the car has some more minute detailing that would only be noticed by the most avid TSX fan or a second-generation TSX owner with retouched taillights and some extra chrome bits around the boot. The efficiency of the engines has also improved with the I-4 giving an estimated 22 mpg in the city and 31 mpg on the highway, while the V-6 get an estimated 19 mpg during city driving and 28 mpg on the highway.